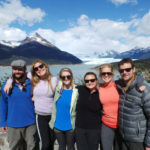 Parting Shots: Possibilities of Patagonia – Four Friends’ Custom Chile Trip through Northern & Southern Patagonia! Travel alongside Nancy, Jeff, Mary, and Kevin as they embark on an unforgettable custom Chile trip to Patagonia and Valparaíso. 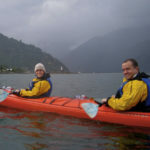 They explore both Southern and Northern Patagonia, venturing to Torres del Paine and Puerto Varas to discover the breathtaking sights and possibilities of the region.